The children are on occasion injured by the sheep. Height and weight restrictions on participants generally prevent injuries to the sheep. 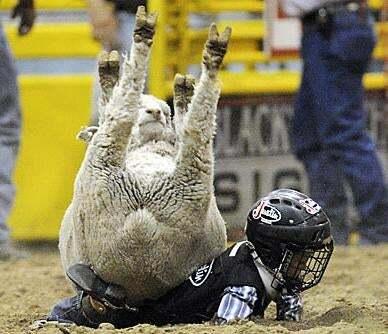 Parents are often asked to sign waivers to protect the rodeo from legal action in that event. Anti-rodeo groups such as SHARK describe the practice as child abuse. Organizations such as the ASPCA also discourage the practice on the grounds that it does not promote kindness or respect of animals.